Chem-Dry of Omaha provides homeowners and businesses with professional carpet cleaning services in Omaha, Elkhorn, and Bellevue area. By using Hot Carbonating Extraction (HCE) methods, we’re able to break up even the toughest dirt and grime that is deep within your carpets. Our specialized cleaning solution, The Natural®, allows us to use a fraction of the water that a traditional steam cleaning requires. It also is best for reducing your drying time and keeping your carpets cleaner for longer. 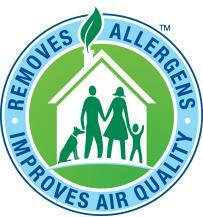 The Natural® is non-toxic and green certified, making it perfect for homes with children and pets. DRIER. Chem-Dry of Omaha’s carpet cleaning service uses 80% less water than a typical steam cleaning, so our service allows carpets to dry in hours and not days. This means that we will get you and your family back into your home sooner. See a full comparison of Chem-Dry vs steam cleaning to see all of the benefits of choosing Chem-Dry carpet cleaners. CLEANER. Our primary solution is incomparable as it is all-natural. Just like club soda, it is carbonated, which allows the bubbles to penetrate deep into the fibers and lift trapped dirt to the surface. Once it is brought to the top, our powerful extraction equipment whisks away the dirt giving you a more thorough cleaning. And since there is no dirt-attracting residue left behind from our natural cleaning solution, your carpets stay cleaner longer. HEALTHIER. We utilize a unique low-water carpet cleaning method which significantly reduces the risk of mold & mildew growth beneath your carpets. This growth is surprisingly common with steam cleaning services that use excessive water. Our proprietary solution is both all-natural & green certified. It contains no harsh soaps or chemicals. So, you can be comfortable that it is safe and non-toxic for your pets & family. In addition, a third-party air quality lab found that our HCE cleaning method is able to remove 98% of household allergens in your carpet & upholstery. It also eliminates 89% of airborne bacteria when a sanitizer is used. All of this adds up to a healthier & safer carpet cleaning service for you, your family, and your pets. We know you have plenty of options when it comes to your carpet cleaners. But, that doesn’t mean that all carpet cleaning services are equal. In order to truly show you the difference that Chem-Dry cleaning makes, we sought out a way to measure how effective our cleaning methods are in eliminating unhealthy and unwanted allergens & bacteria from your home. We came to a leading independent air quality laboratory to research the effect of Chem-Dry’s Hot Carbonating Extraction (HCE) method had on multiple homes. The lab discovered that the Chem-Dry carpet cleaning service removes an average of 98.1% of common household allergens such as dust mites & pet dander. We also learned that adding our sanitizer to our carpet cleaning service removes an average of 89% of bacteria found in the air and 82.3% of bacteria from carpets. With the Chem-Dry of Omaha professional carpet cleaners, you can breathe easier, literally, about the healthfulness of your home. Here at Chem-Dry of Omaha, our number one priority is making sure you are completely satisfied with our carpet cleaning services. Our highly trained carpet cleaning technicians will rejuvenate your carpets, leaving your home looking and smelling great. Choosing us for your next carpet cleaning will ensure that your home is a healthy and comfortable environment for you and your family. Contact us today to schedule your next carpet cleaning and see the Chem-Dry of Omaha difference for yourself!